Editor's Note: The following article is written by Nathan Lichtenstein, who has previously written about tuition transparency for Reporter. 3.5 percent, 3.8 percent, 3.6 percent. Respectively, those three figures represent the tuition increase rate between the last three academic years. In those same years, the US inflation rate never rose above 3.0 percent, so why is tuition inflation on a steady rise above the national inflation rate and where is the money going? Unfortunately, in higher education institutions the answer is not always easy to come by. The cost of higher education in the United States is prohibitively expensive and the cost of a private university like RIT is even higher. In fact, over the last four years, our annual cost of attendance has risen to nearly $50,000. I'm not going to argue that operating a college is cheap. After all, colleges are businesses at the end of the day. They are pining for the business of students to stay afloat. In order to do so, colleges are always striving to improve amenities and services to be at the top of their game. I believe this is all fine and well, but students have a right to know where their money is going. I recently wrote a news article focused on the newly announced Alumni House which was purchased for $342,500 in late 2013 using tuition dollars. Though the purchase was made nearly two years ago, it was virtually a silent endeavor until a few weeks ago. Students should not have to constantly do public record searches on their university to discover that the equivalent tuition of nearly eight students was used for a major purchase. I'm a firm believer that tuition funds should be used for the benefit of the students. Take a look at RIT's preliminary budget for the 2016 fiscal year. Could you tell me what money is being used where and for what? Absolutely not. For more detail and major expenditures, a student can look through the preliminary capital budget report, but that still leaves a whole lot to be desired. Schools across the nation are pushing for tuition transparency. 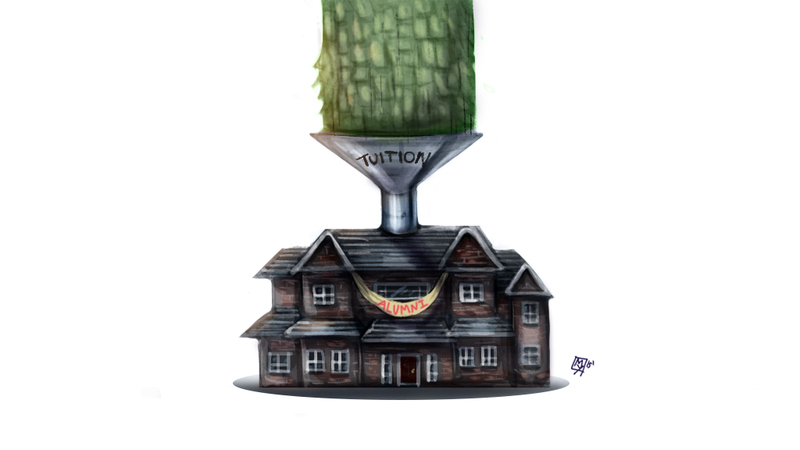 From coast to coast, students want capital justifications on tuition raises. Tuition transparency is not just about dollars and cents, it is about having a say in how your university operates and having the ability to vote with your wallet. Wouldn't it be awesome to know how your money is being used, institute wide? I'm pushing for a coalition to be formed between Reporter and Student Government so that all RIT students have access to more information on where their hard earned tuition dollars go.